Do you want to spruce up your car or do you need to fix a broken car? Taking a car to the auto shop can be costly. However, if you’re a self-taught or trained mechanic, fixing it yourself can save you money. 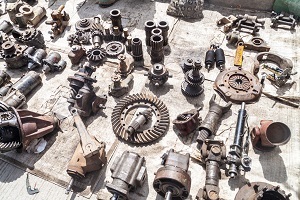 If you need spare parts for your broken down car or just looking to fine tune it, here are some tips you should know when buying used auto parts for your project. Ask Questions – Before you shop for auto parts, know what you want to buy. If you’re not a mechanic, talk to someone who knows about cars and how they work. Ask lots of questions to make sure you understand exactly what you need and why you need it. Ask more questions when you go to buy the auto parts. Be Smart – Take the time to shop around and do your research. Check what the prices are for the used parts, so you know the going price of the parts that interest you. Set the high and low parameters for a fair price that you’re willing to pay. Consider a Win/Win Outcome – You want to buy at a good price that’s fair to both parties. A win/win solution negotiated in a reasonable, polite way will help you make a good deal. Savings – Buying auto parts from a self-service like U Pull & Save can save you a considerable amount of money. Knowledge – Pulling parts yourself helps you become familiar with the way the parts of a vehicle fit together and helps you when it’s time for you to install the parts yourself. Inventory – The large inventory at a self-service salvage yard contains parts that may be hard-to-find elsewhere. Salvage yards have a frequently renewed supply of cars and parts to select from. Convenience – A self-service salvage yard lets you look through the yard at your own pace. There’s no attendant rushing you to pick out what you need. Automobiles have many different parts and pieces. The ones you can buy at significant savings tend to be the ones that are most in demand. These include radiator, fuel pump, car radio, shock absorber and strut assembly, brake pad set, headlights, door panel, bumper, and ignition coil. If you sell your vehicle to U Pull & Save, your car becomes part of the supply of replacement parts. Some parts are easier to pull than others. If you’re not a mechanic, consider bringing someone who knows more about cars with you. If that’s not possible, there are videos available online that demonstrate step-by-step how to remove and install almost any auto part. 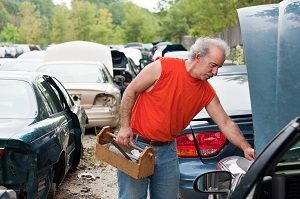 Self-serve salvage yards like U Pull & Save permit customers to remove their own parts from scrapped vehicles. By providing the labor, customers are able to buy the auto parts they need at substantial savings. If you sell a car in FL to U Pull & Save, you can salvage the parts. That sounds like an easy, good way to do it, so if you need auto parts or have a car to sell, call or visit U Pull & Save.